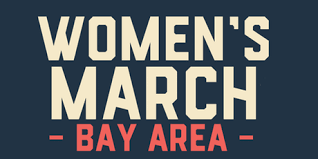 We are proud to share with you a call to action on this coming Saturday, January 20, 2018 in support of the Women’s March Bay Area in SF. The event kicks off with a rally and many speakers starting at Noon at the Civic Center. The rally becomes a march down Market Street at 2 pm. The SF Labor Council is asking members and their families and friends to assemble no later than 1 PM at Grove and Larkin (in front of Bill Graham Auditorium) to form a united labor contingent for the march. We will have the Firefighters 798 truck and the Teamsters 856 van to carry those who aren’t up for the full march but wish to ride along. This entry was posted on Monday, November 13th, 2017 at 10:12 pm	and is filed under Event. You can follow any responses to this entry through the RSS 2.0 feed. Both comments and pings are currently closed.